Wat Samphanthawongsaram Worawiharn, วัดสัมพันธวงศารามวรวิหาร, (also spelled Wat Samphanthawong Saram) is a third class royal temple or Worawiharn located in the Sampheng or Samphanthawong district of Bangkok's Chinatown. The temple dates from the Ayutthaya period and was originally called Wat Koh (Temple on the Island) because it was surrounded by a moat connecting with the Chao Phraya River. 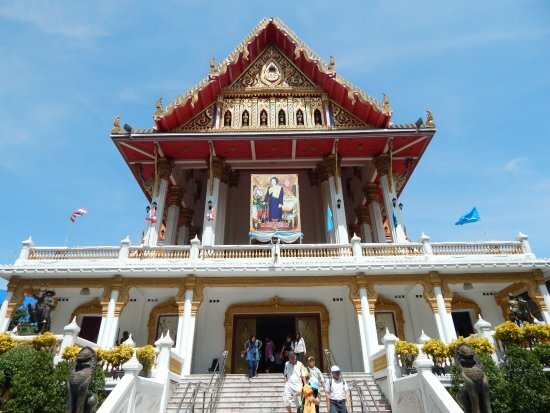 In 1796 (2339 BE) King Rama I renovated the entire temple, made it a royal temple and changed the name to Wat Koh Kaew Langkaram In the reign of King Rama IV the name was changed to Wat Samphanthawongsaram Worawiharn to honor Prince Samphanthawong, King Rama I's son who founded the temple. The Ubosot (Ordination Hall) has a principal Buddha image in the subduing Mara (demon) mudra enshrined inside. The image is made of a hollow log with lime covering. The image's arms are made of wood with a gold layering. Inside the image and under the base are a number of silver and lead votive tablets. 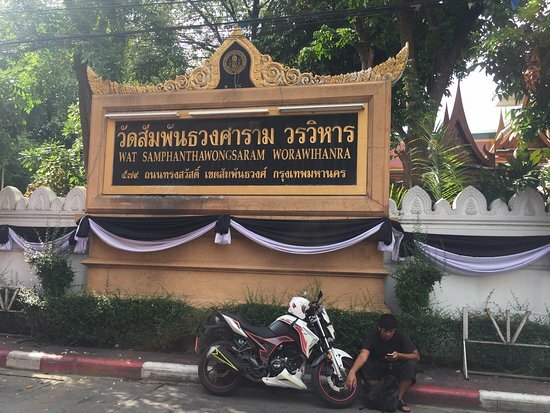 The Samphanthawong Museum in Chinatown Bangkok is a community museum that preserves the history of the early Chinese immigrants, their lives and contributions and the growth of the Chinese community in Chinatown Bangkok.